Uniting beauty and science with luxury, you can rely on this seamless, simply sublime range for a miraculous addition to your make up kit. The first step in Hourglass’ foolproof formula for creating your ‘perfect light’, this first-of-its-kind primer blurs, smooths and perfects skin, leaving a soft, subtle glow in three radiant shades. Oil-free and weightless, it neutralises discolouration while blurring imperfections and smoothing the skin’s surface for make up application, so you can wear it with a full face – or all by itself. 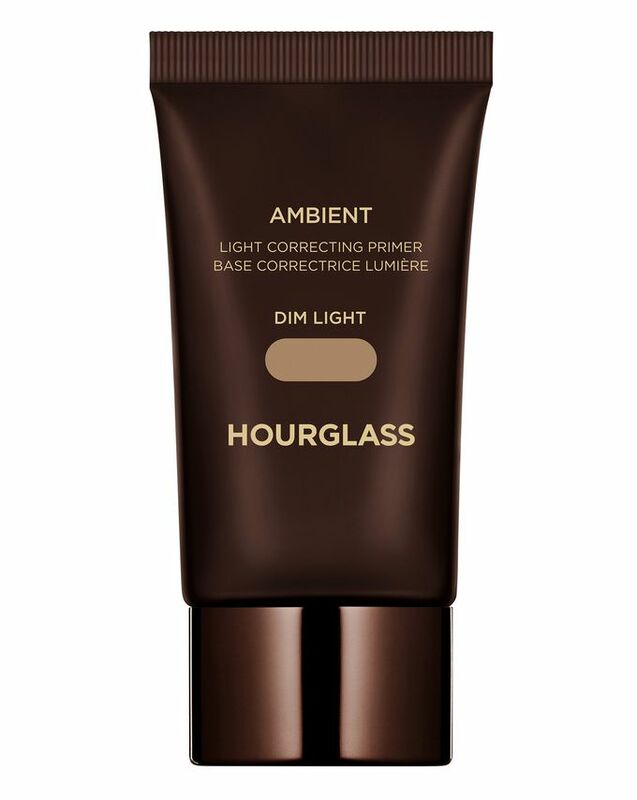 If you’re desperately seeking a complexion that’s seamlessly lit from within and perfectly prepped for make up (and, let's face it, who isn’t seeking that) cast your longing gaze no further than Hourglass’ Ambient Light Correcting Primer. A first of its kind, this light-correcting primer blurs, smooths and perfects the skin while leaving a soft, subtle glow in its wake. 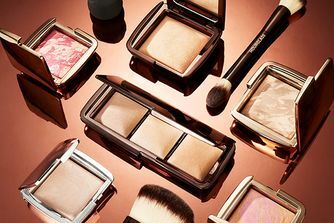 Oil-free and weightless, the formula features pigments to ‘correct’ light, acting as a ‘first filter’ that neutralises and softens light (even the harshest bathroom or supermarket light that looks good on nobody...) while blurring the appearance of imperfections and smoothing out skin’s texture for flawless make up application. Instantly absorbing into skin, this awakens a natural-looking glow without feeling wet or greasy, so you can use it as a starting point for your make up ritual or wear it all by its beautiful self. It’s available in three radiant shades: ‘Dim Light’ is a natural beige, ‘Luminous Light’ is a champagne pearl and ‘Mood Light’ is a soft, sheer pink. Choose wisely – or snap up all three. Apply pea-sized amount with fingertips to moisturised skin. Primer can be worn as a make up base under foundation or alone for a subtle glow. Water/Aqua, Isododecane, Methyl Perfluorobutyl Ether, Propanediol, Dimethicone, Polysilicone-11, Silica, Butylene Glycol, Mica, Coco-Caprylate/Caprate, Ammonium Acryloyldimethyltaurate/VP Copolymer, Caprylyl Glycol, Carbomer, Cellulose Gum, Decyl Glucoside, Hexylene Glycol, Hydroxyethylcellulose, Lecithin, Phenoxyethanol, Polyester-5, Polysorbate 20, Potassium Sorbate, PVP, Tocopherol, Triethanolamine. May Contain (+/-): Iron Oxides (CI 77491, CI 77492), Titanium Dioxide (CI 77891). I don‘t wear foundation, so I was looking for something that would even out my skin tone enough so I am comfortable. I usually wear this over an oil. A little goes a long way, it‘s super spreadable and does a perfect job at mixing with my oil to give me a fantastic glow. It doesn’t look cake-y or like foundation at all. My skin looks super fresh and even and I am already on my second tube. I would love this product even more if it had sunscreen in it. A perfect primer for a combination skin with red spots, evens it all out, and the foundation stays put.